One of the many benefits of owning a domain name is that you can create custom, professional domain email addresses. All Doteasy web hosting plans come with domain email capability, though the number of domain email accounts you can create depends on your hosting plan. Scroll to the Email section and click Manage Email Accounts. This will open your account cPanel. 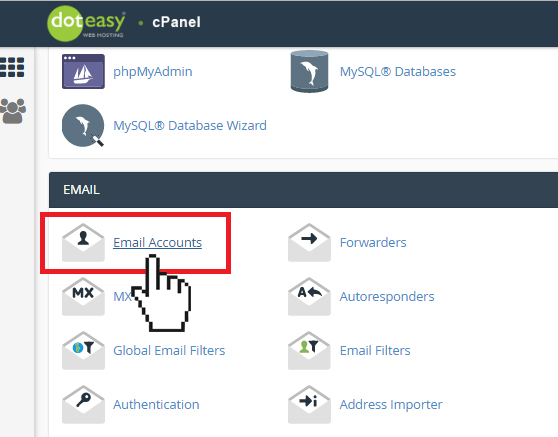 On the cPanel dashboard, scroll down to the Email section and click Email Accounts. On the Add Email Account page, enter the email username in the Email field. The email username is the part that comes before the @yourdomain.com, for example the “you” in you@yourdomain.com. 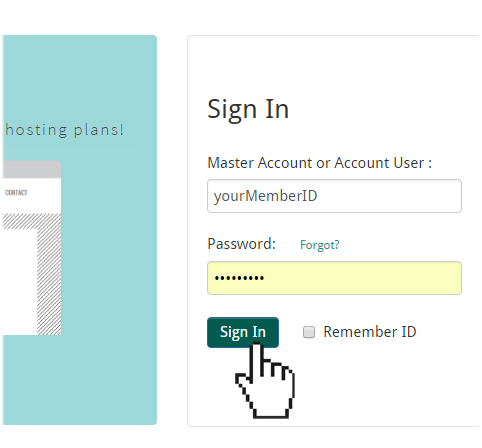 If you have more than one domain name on your hosting account, select the desired domain from the Domain drop-down menu. Enter a password in the Password field. You can also use the Password Generator to generate a strong password for the email account. Assign a desired mailbox quota for the email account. If you do not want to set a quota for the account (ie. you want the email account to have unlimited mailbox quota), check the Unlimited option. When ready, click Create Account.